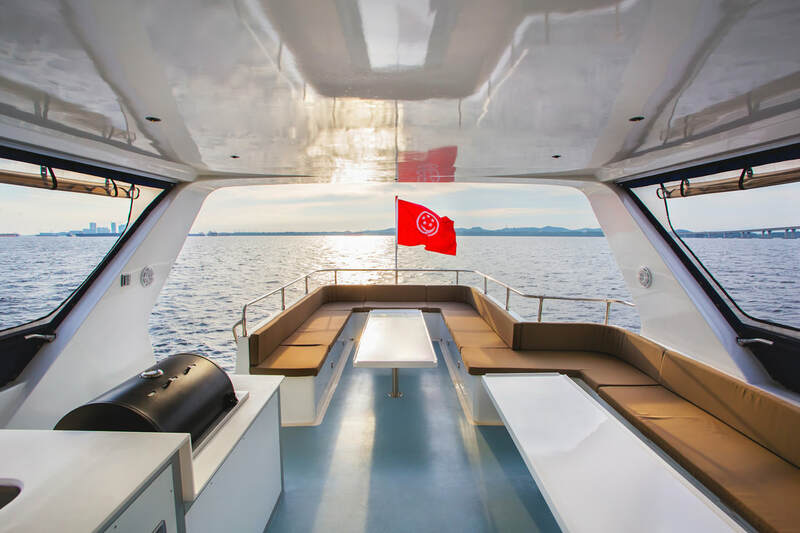 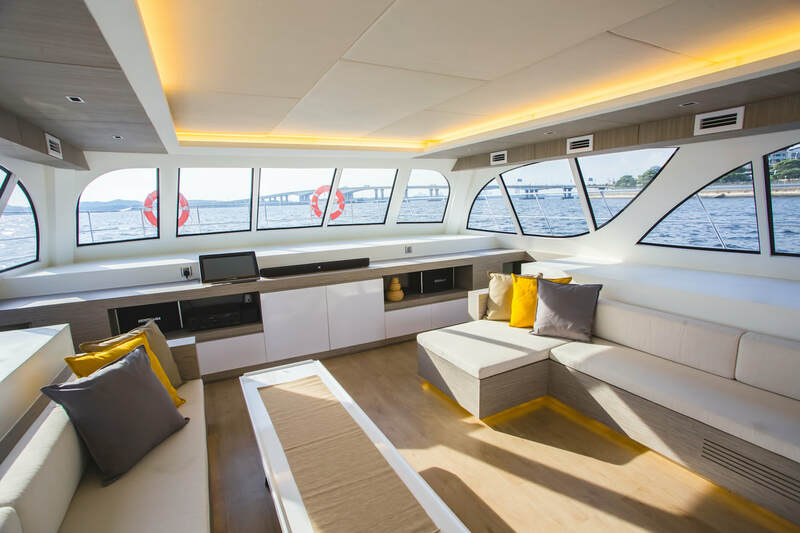 Twin hulls create a much more spacious spaces for lounging onboard for guests and minimises rocking motion and greater stability. 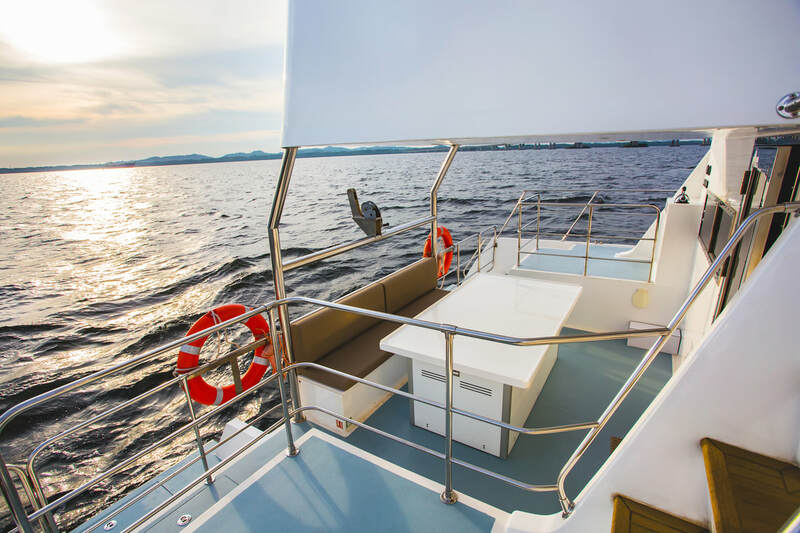 Perfect for guests who are prone to sea-sickness and young guests. 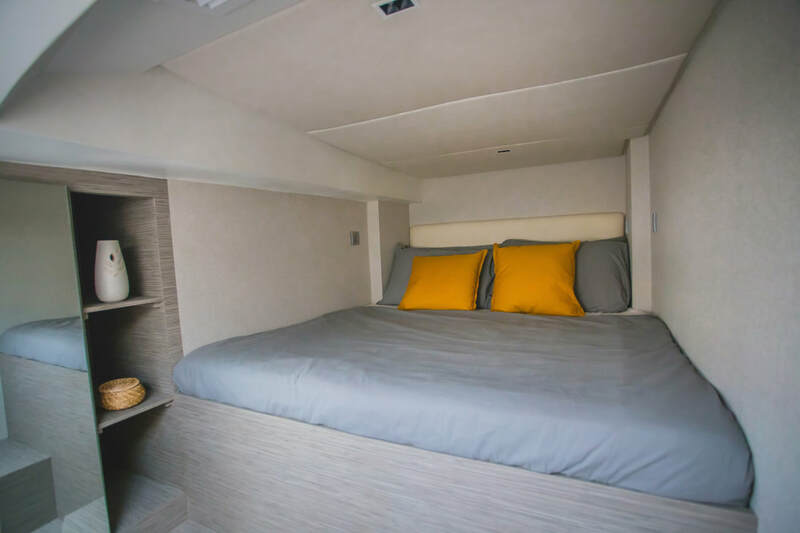 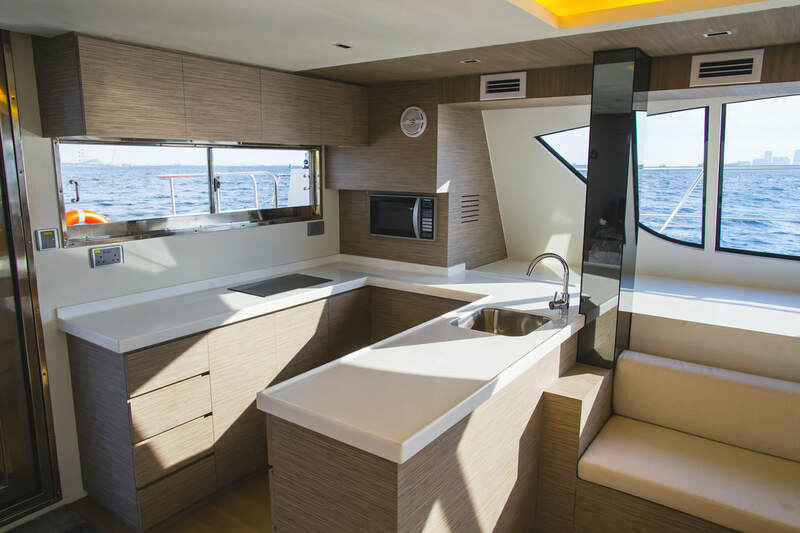 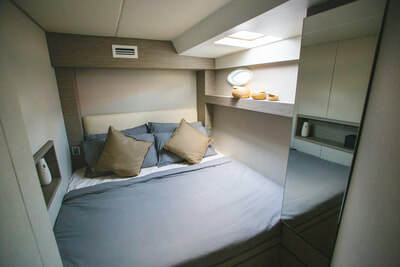 Kucinta is equipped with a kitchenette and audio-visual amenities, including a Bluetooth-enabled entertainment system and Touchscreen karaoke system. She is currently based at Raffles Marina on the Western tip of Singapore, and is available for private and corporate bookings.